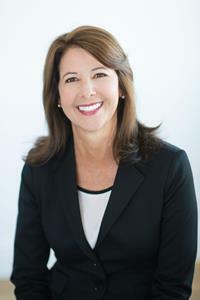 DALLAS, Jan. 08, 2019 (GLOBE NEWSWIRE) -- Capital Senior Living Corporation (NYSE: CSU), one of the nation’s largest operators of senior housing communities, today announced that its Board of Directors has appointed accomplished health care executive Kimberly S. Lody as President and Chief Executive Officer, effective immediately. Lody, a CSU Director since 2014, will continue to serve on the Company’s Board of Directors, and succeeds Lawrence A. Cohen, who retired at the end of 2018. Lody, 53, brings to Capital Senior Living more than 25 years of expertise in multi-site health care marketing, sales, and operational management. Most recently, she was President of GN Hearing North America, part of the medical device division of the GN Group, a global leader in intelligent audio solutions for medical, professional, and consumer markets. At GN Hearing she led seven consecutive years of above-market growth and expansion across multiple channels and brands. In addition to accelerating growth, Lody’s expertise includes M&A, investor relations, and commercial excellence. Kimberly Lody has more than 25 years of healthcare experience, including proven achievements in alternate site healthcare services, durable medical equipment, medical devices, and complex regulatory and payor environments. Prior to joining GN Hearing North America, Lody served as VP of Marketing and then President of Chronic Care, the U.S. subsidiary of Coloplast, a $5 billion global medical device manufacturer based in Denmark, from 2009 to 2011. From 2004 to 2009, she served as an independent consultant, providing interim leadership and revenue enhancement programs to companies in healthcare, consumer products, automotive and insurance services. During her career, Lody also served as COO of Senior Home Care from 2003 to 2004, CMO of Gentiva Health Services from 1997 to 2003, and VP of Managed Care Programs for Apria Healthcare from 1994 to 1997. Lody has received several awards during her career, including the 2018 “Women in Business” award from the Twin Cities Business Journal in Minneapolis, the 2017 Diploma of the Danish Export Association and His Royal Highness Prince Henrik’s Medal of Honor from Denmark. Lody holds a bachelor's degree in Business Administration from Hiram College in Ohio and an MBA with a concentration in finance from Wake Forest University. Capital Senior Living Corporation is one of the nation’s largest operators of residential communities for senior adults. The Company’s operating strategy is to provide value to residents by providing quality senior housing services at reasonable prices. The Company’s communities emphasize a continuum of care, which integrates independent living, assisted living, and memory care services, to provide residents the opportunity to age in place. The Company operates 129 senior housing communities in geographically concentrated regions with an aggregate capacity of approximately 16,500 residents. The forward-looking statements in this release are subject to certain risks and uncertainties that could cause results to differ materially, including, but not limited to, the Company’s ability to find suitable acquisition properties at favorable terms, financing, refinancing, community sales, licensing, business conditions, risks of downturns in economic conditions generally, satisfaction of closing conditions such as those pertaining to licensure, availability of insurance at commercially reasonable rates, and changes in accounting principles and interpretations among others, and other risks and factors identified from time to time in our reports filed with the Securities and Exchange Commission. For information about Capital Senior Living, visit www.capitalsenior.com.